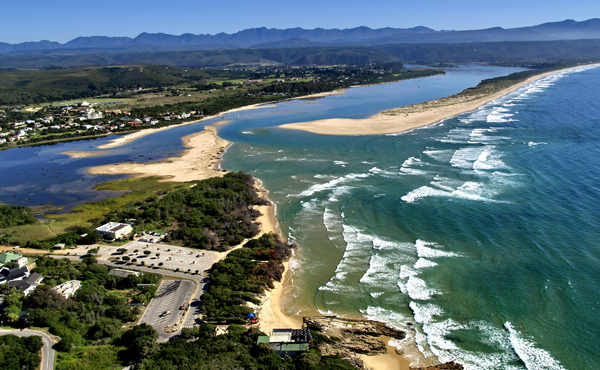 Welcome to the blog of Milkwood Manor and Lemongrass restaurant in Plettenberg Bay, South Africa. We have been operating a guesthouse on this spot for 15 years now, but 4 years ago our landlocked establishment changed into prime oceanfront property – overnight! 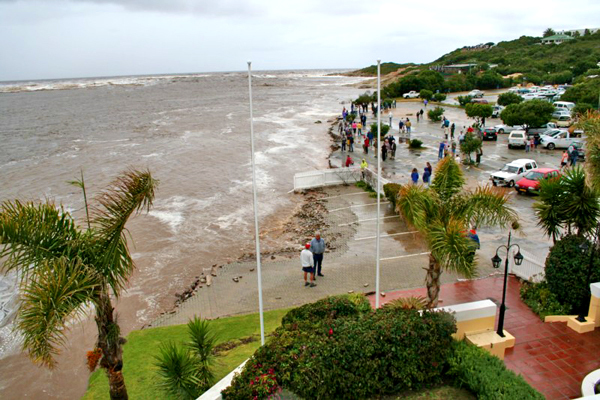 In November 2007, a raging flood from the nearby Keurbooms River swept away over 300m of sand, rock and vegetation in one night. The Manor was only saved by a reef of solid rock that redirected the flood past the guesthouse and out into the ocean. That night, at 7pm the alarm was raised – the river was right outside our Lemongrass restaurant! You can imagine our shock! Luckily we were able to evacuate the guests and find them alternative accommodation while the storm and flood raged. All, that is, but two guests who had turned in early and did not hear the commotion or the knocking on their door. They awoke to find a deserted guesthouse and restaurant. Can you image their confusion at the sight of a river and the ocean at their door? 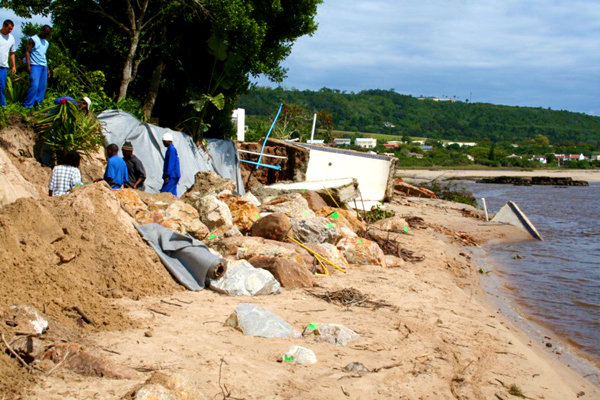 An entire stretch of land was washed away during the night and the Keurbooms River mouth had shifted over 300m. Trees, logs and branches littered the ocean and numerous river boats had been washed out to sea. It was a true natural disaster and one with surprising results for us here at Milkwood Manor. Our swimming pool had been replaced by a rushing river. Our rooms, once overlooking natural vegetation and our parking lot, now offer uninterrupted lagoon and sea views. 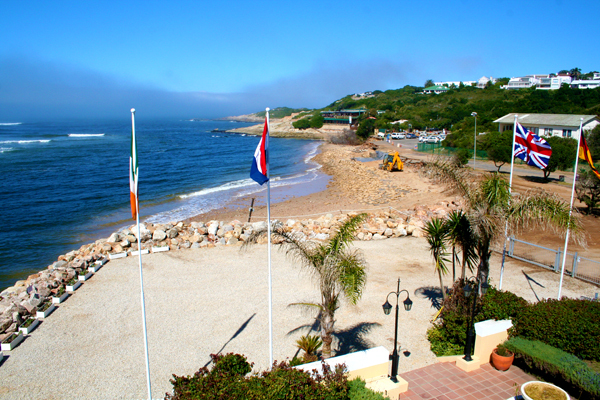 The story of Milkwood Manor’s “relocation” has become a favourite with locals and travellers alike. 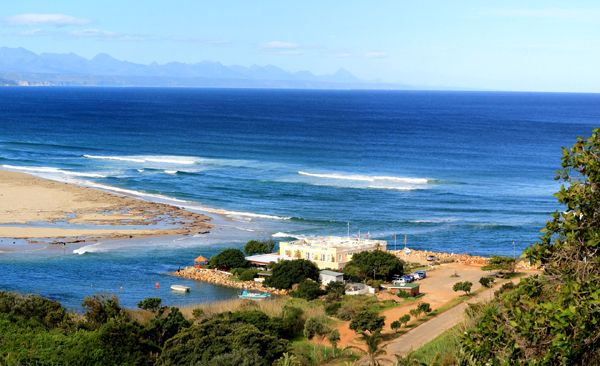 Once the waters calmed, Milkwood Manor has been left with an exclusive beach across a serene cove and magnificent, endless views. 2 Responses to Ocean Views – Overnight! really impressed! everything is very open and very clear explanation of issues. it contains truly interesting information. your website is very useful. thanks for sharing. looking forward to more!